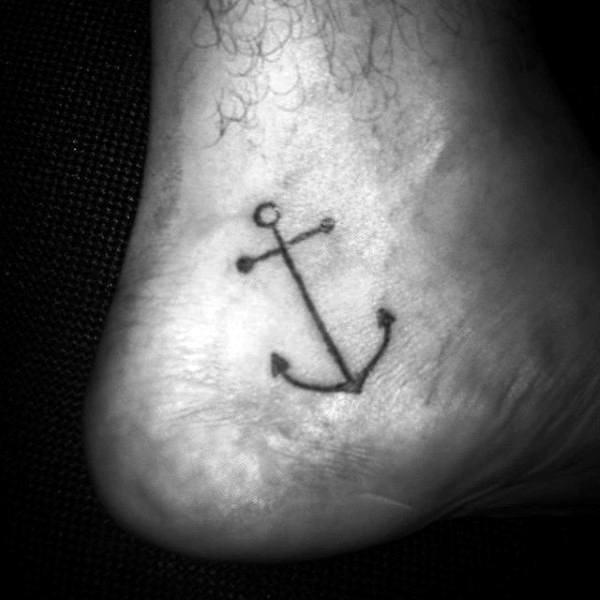 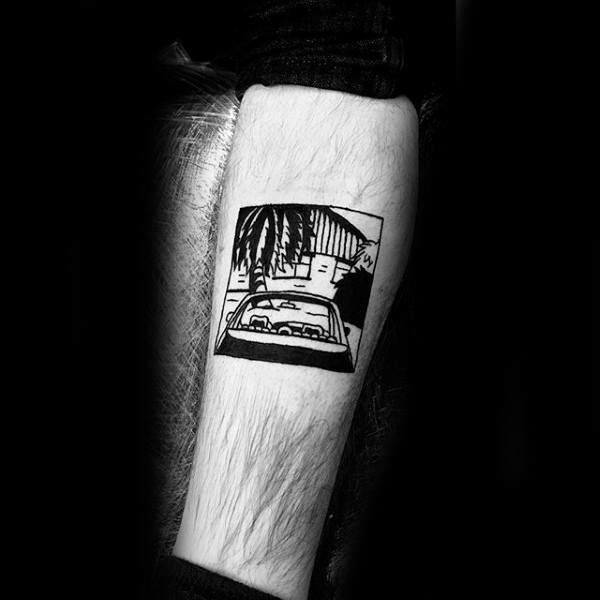 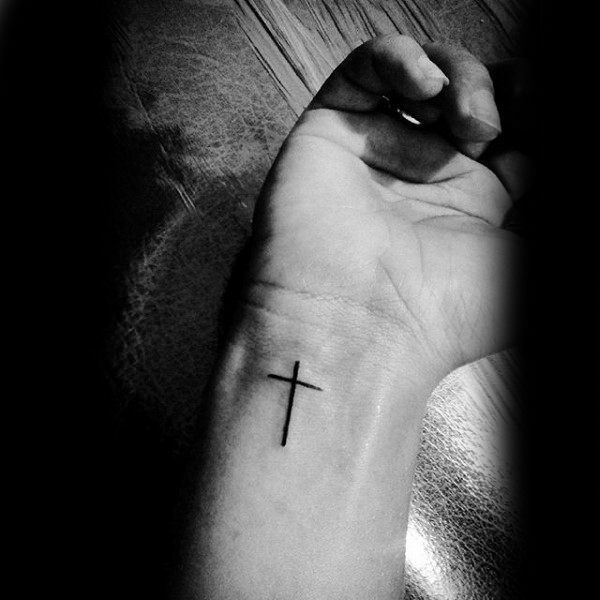 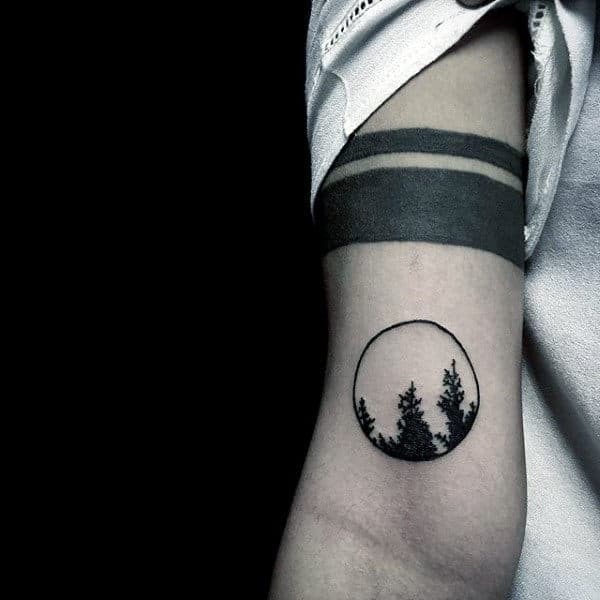 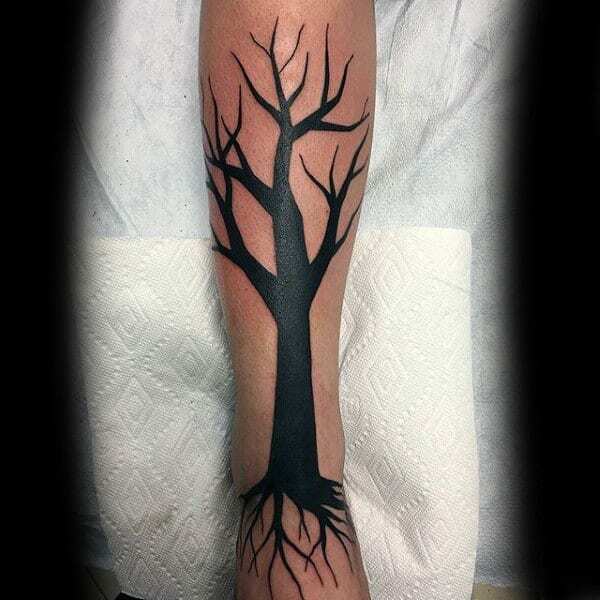 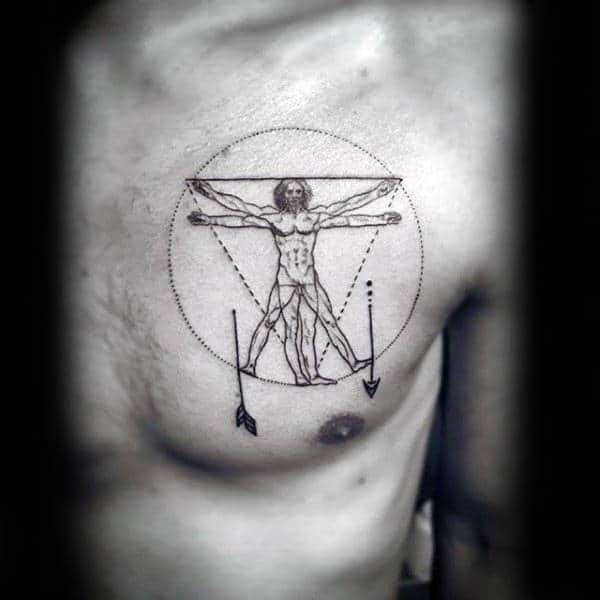 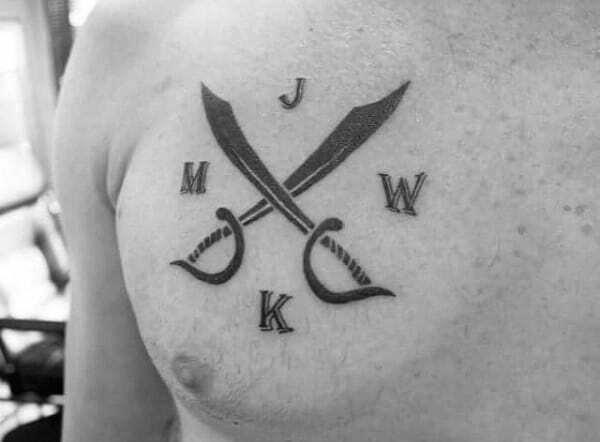 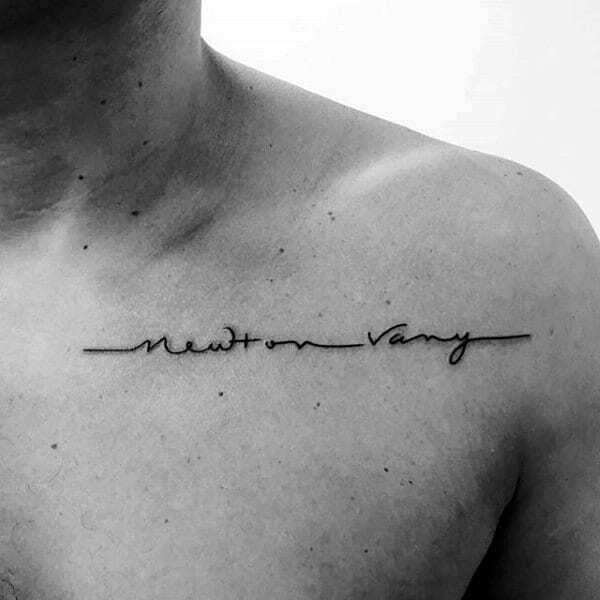 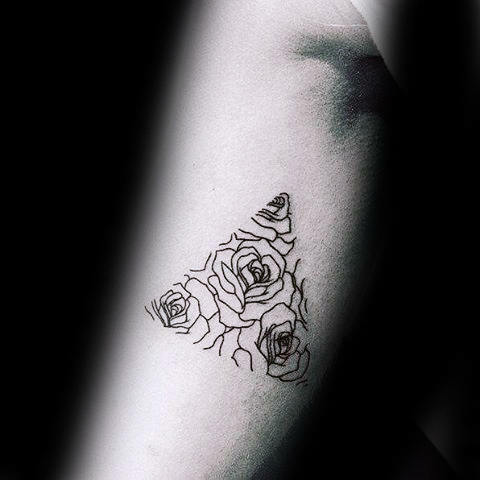 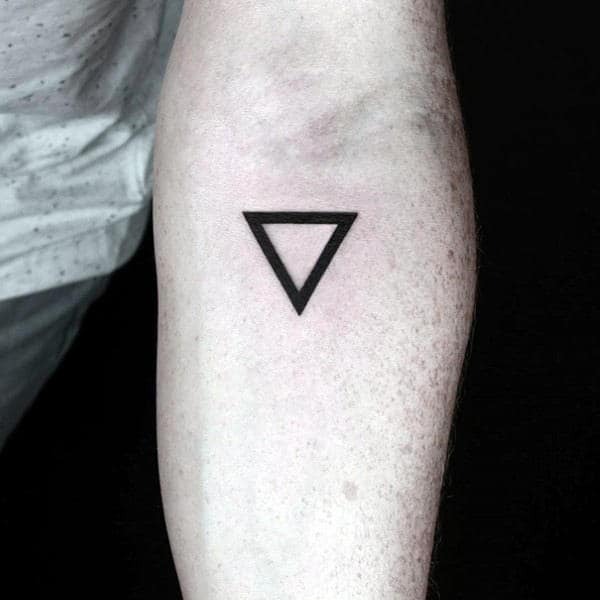 Simplicity is the new trademark of manly body art, so minimalist tattoos are definitely worthy of your consideration. 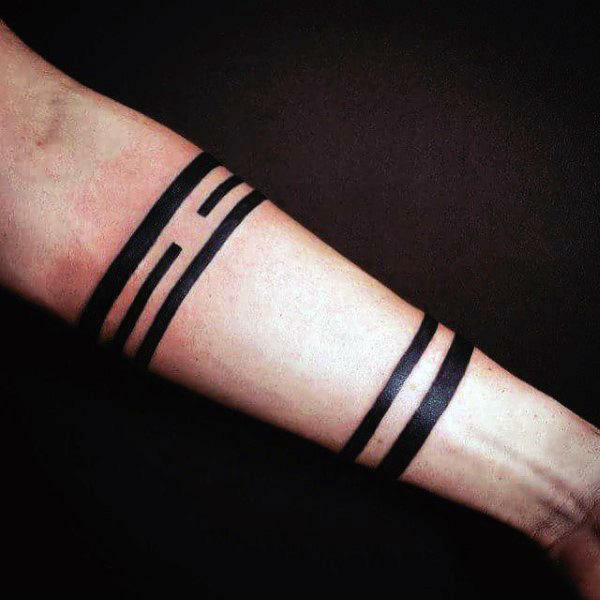 These streamlined creations are sparking a Zen revolution for ink devotees everywhere. 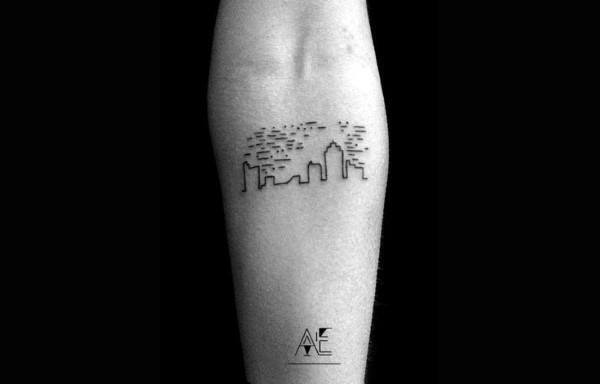 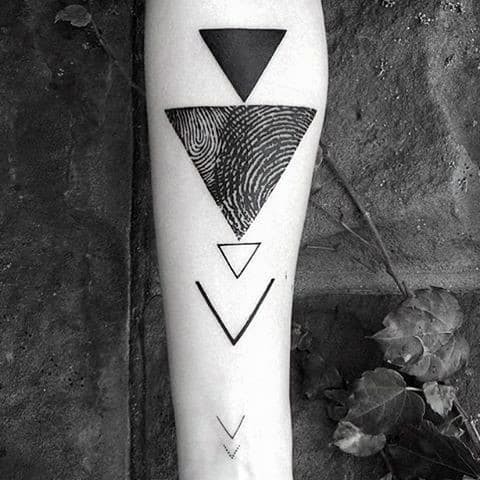 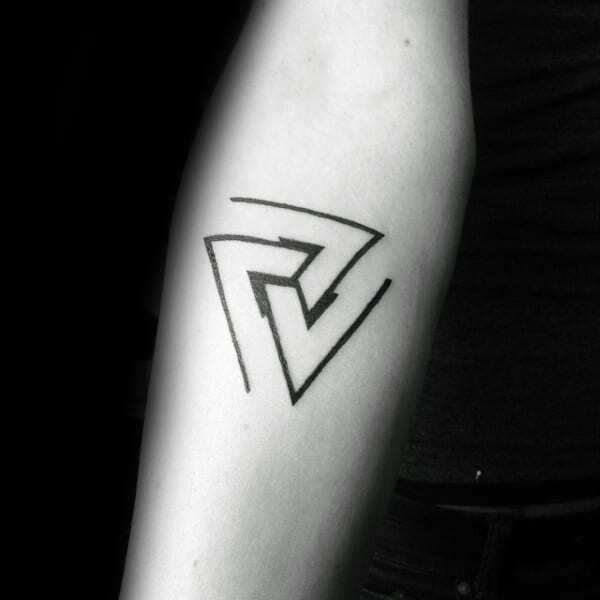 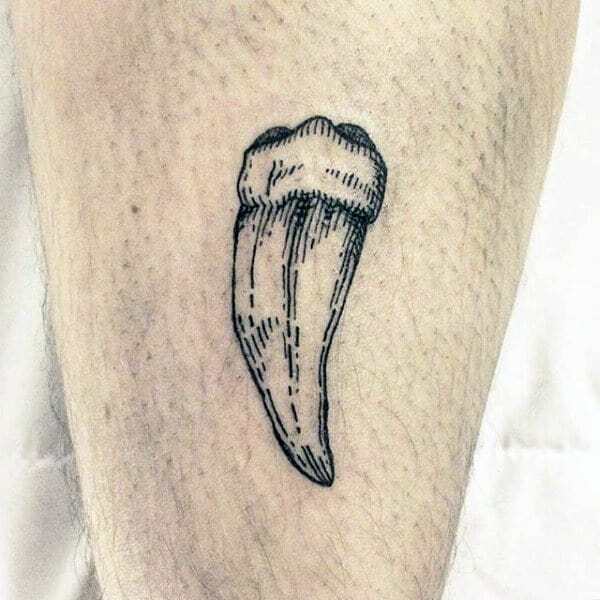 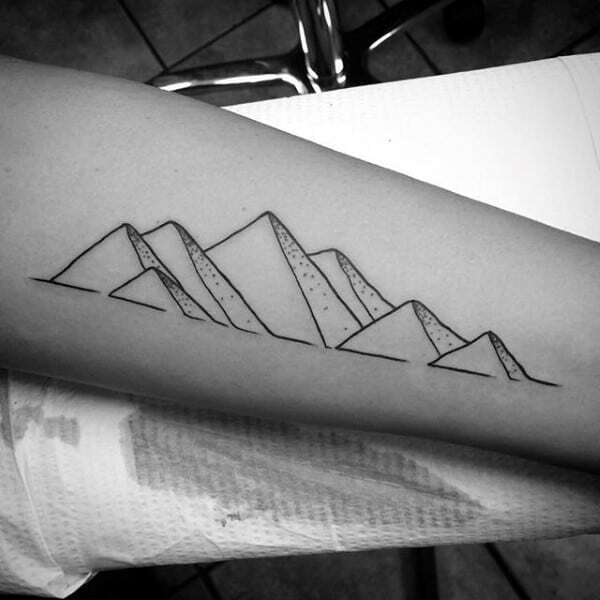 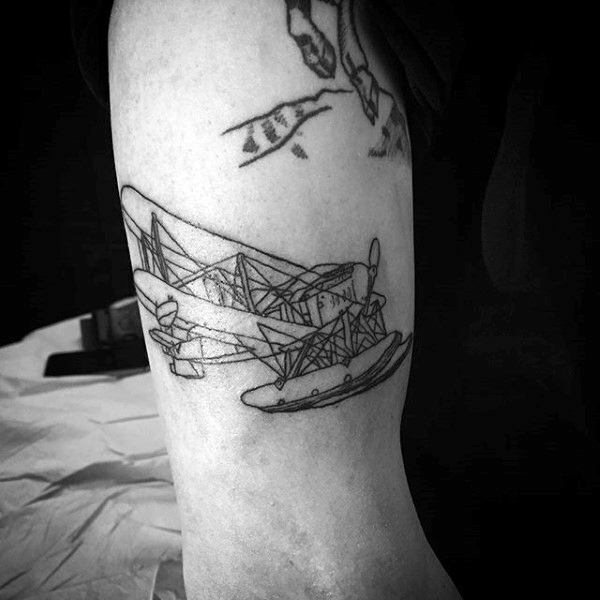 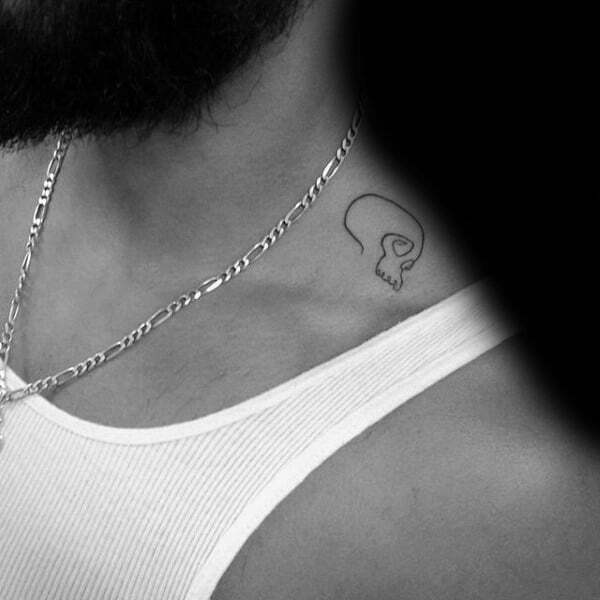 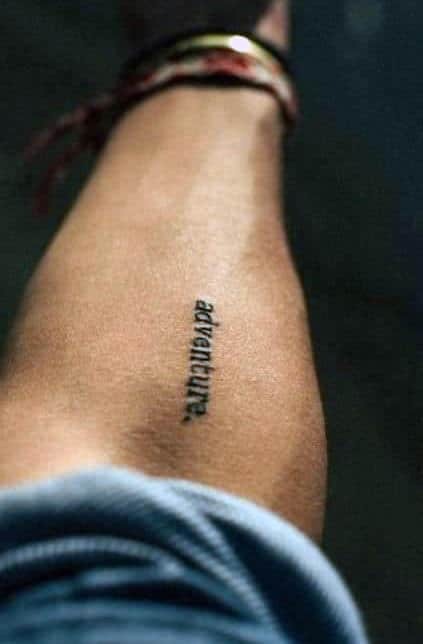 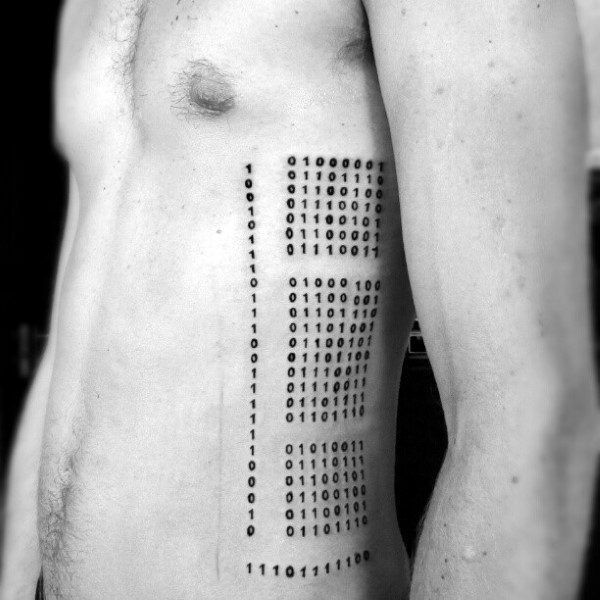 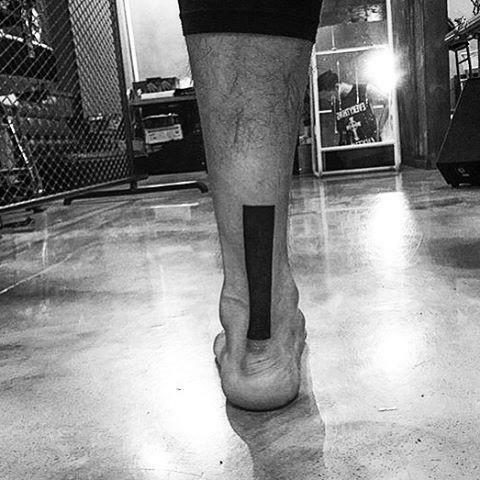 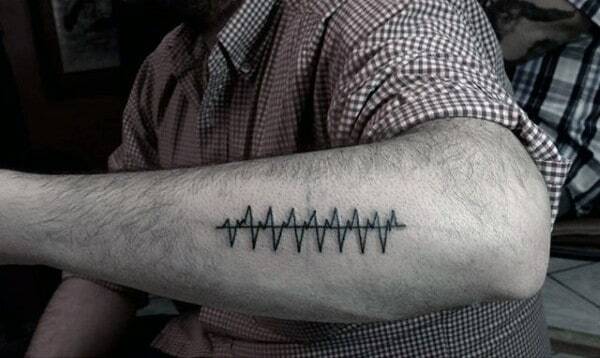 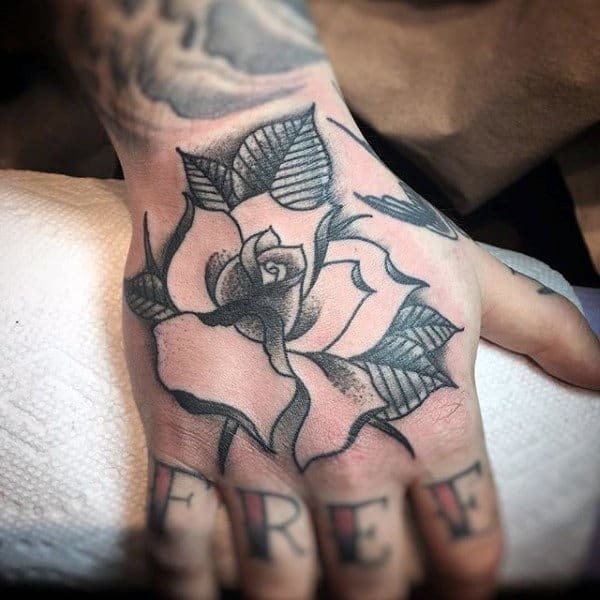 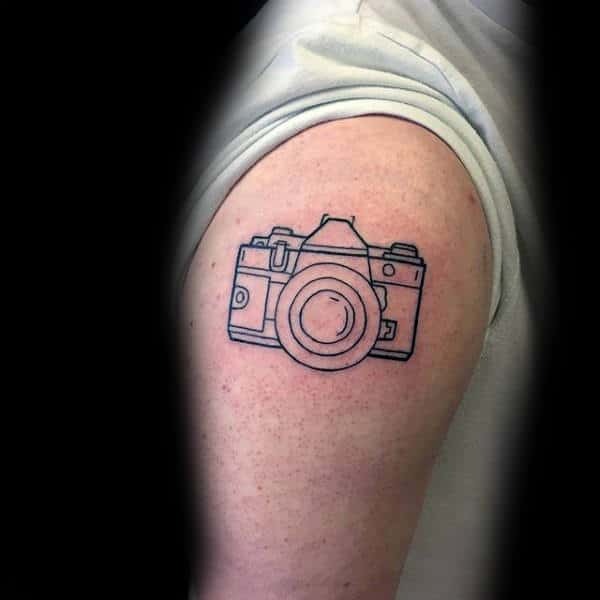 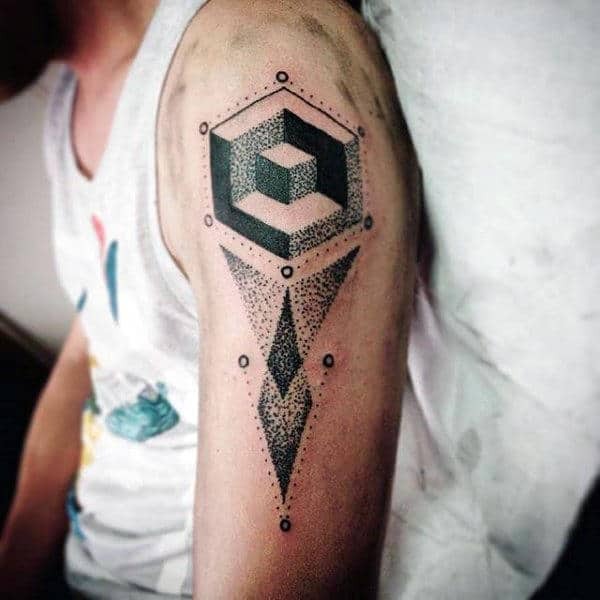 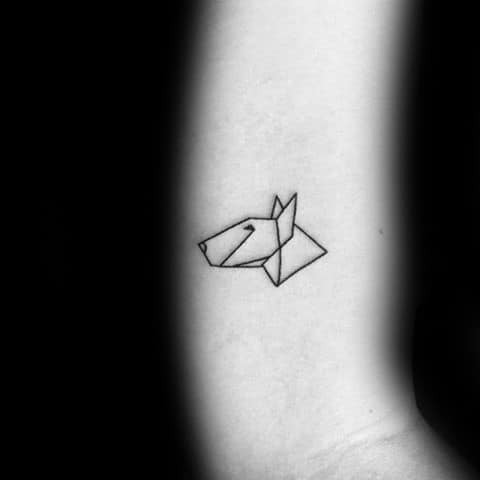 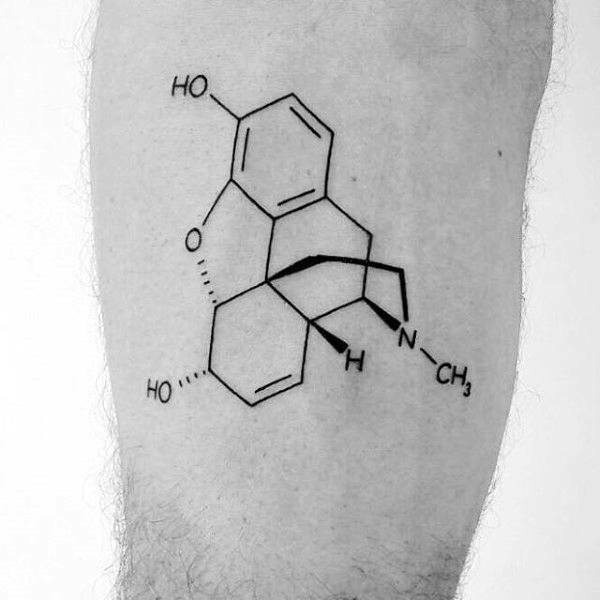 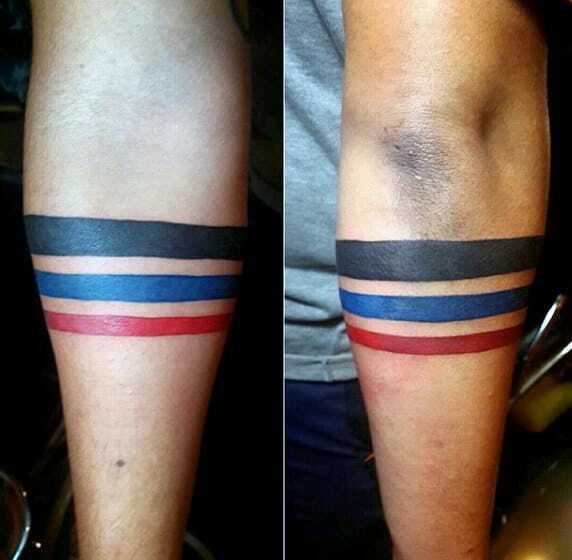 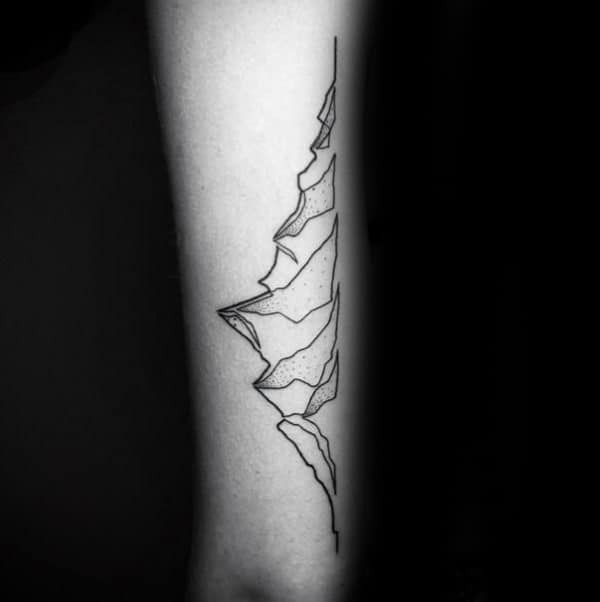 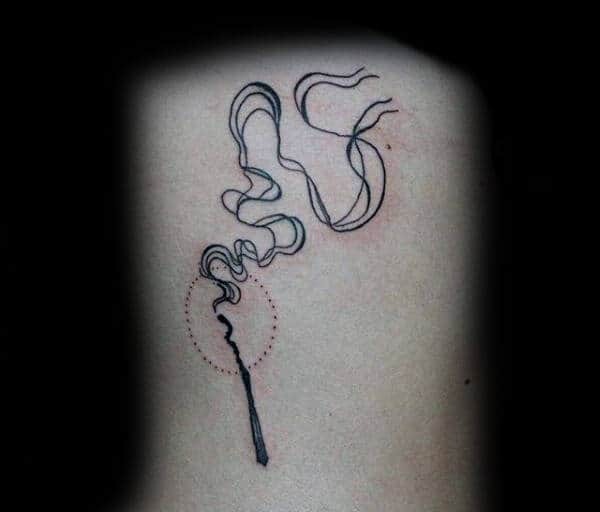 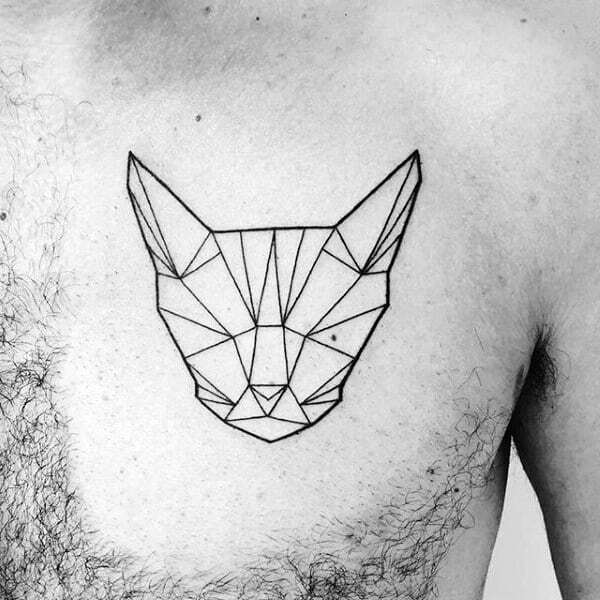 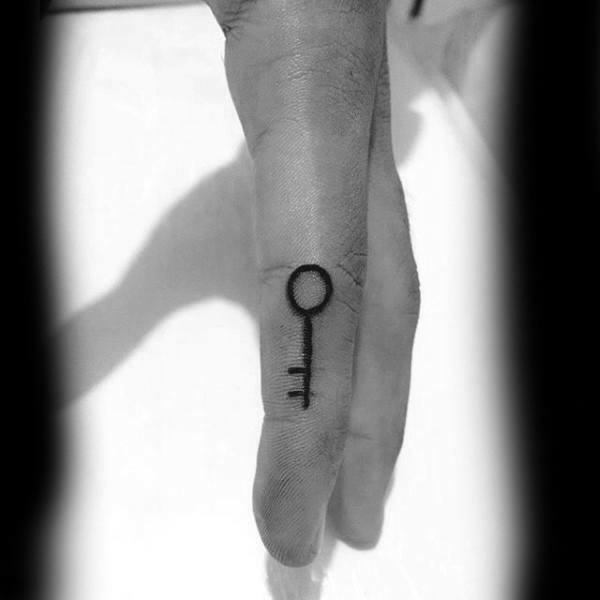 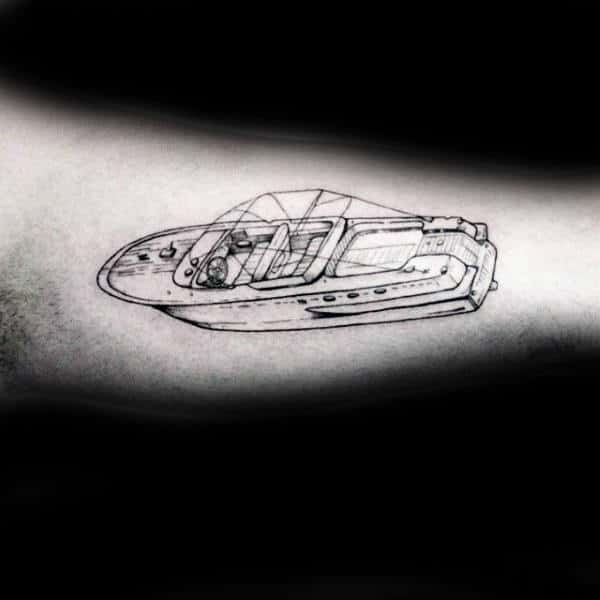 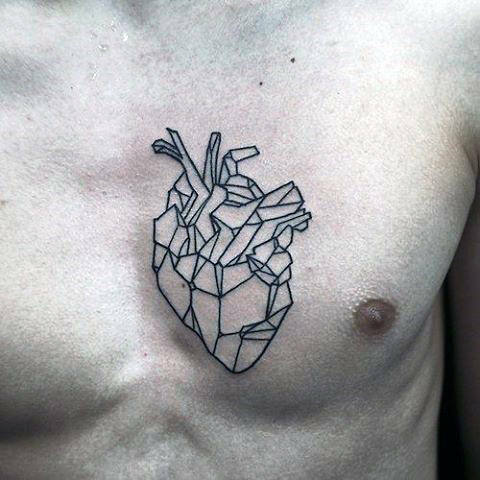 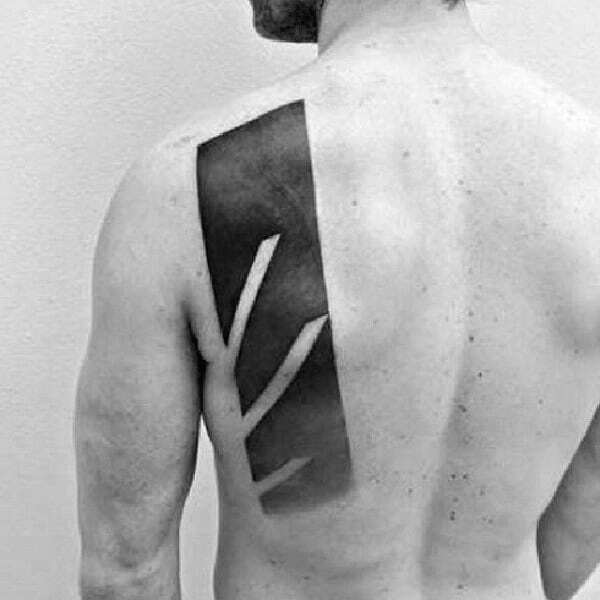 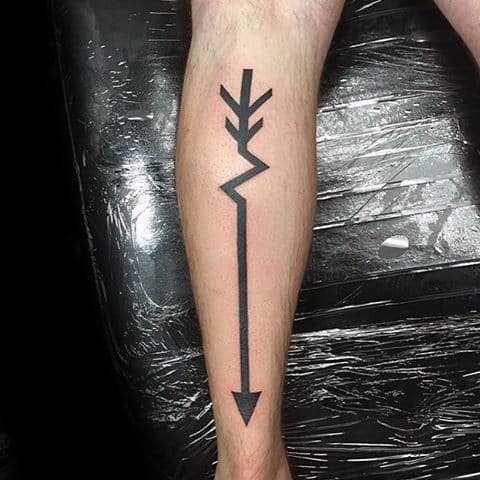 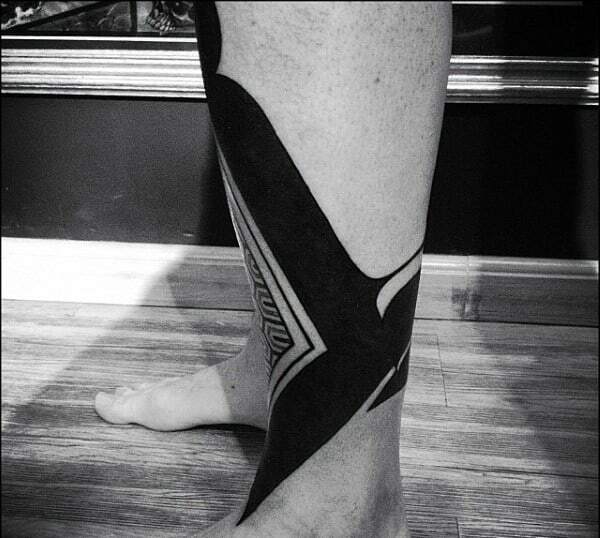 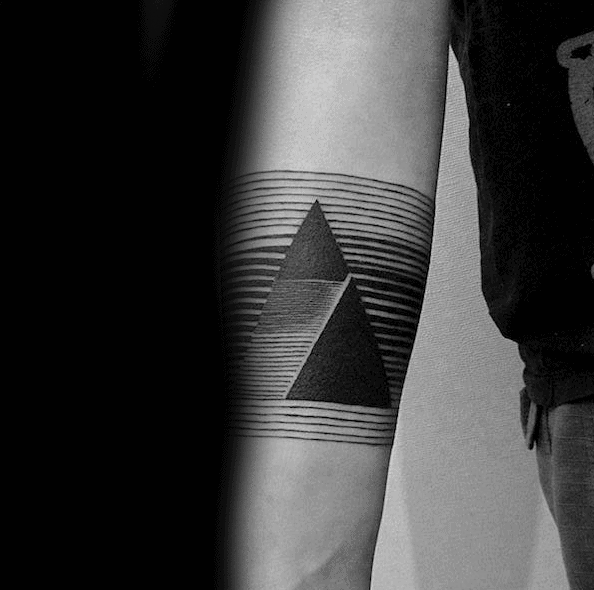 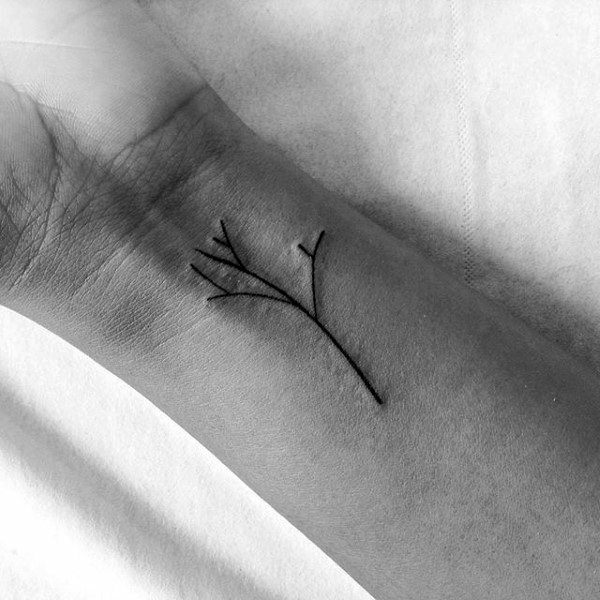 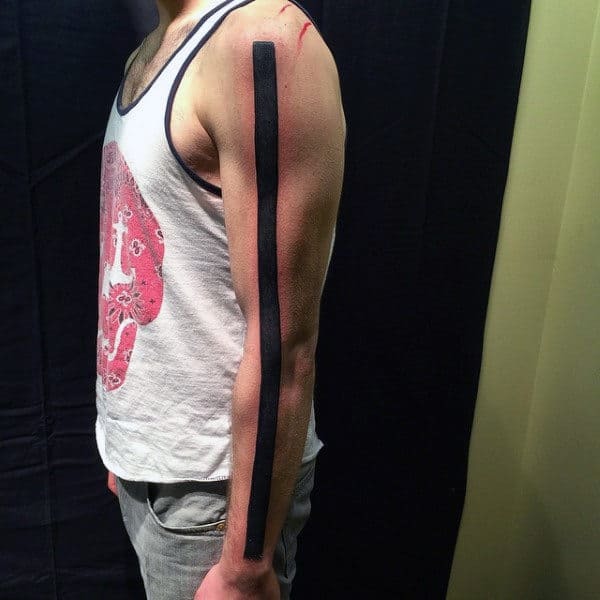 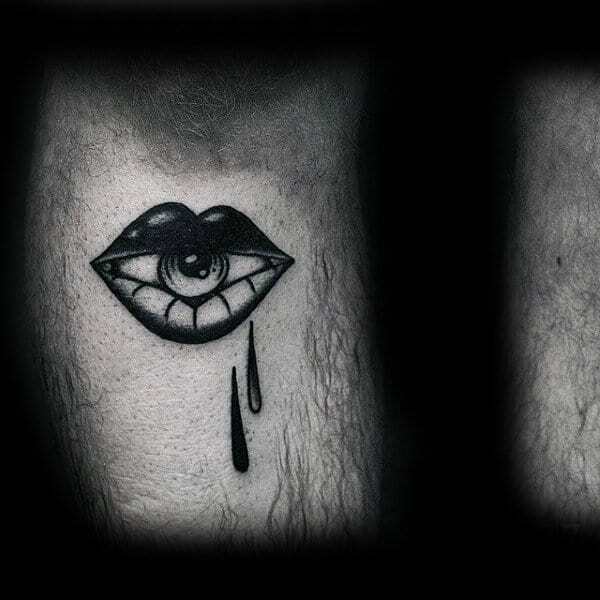 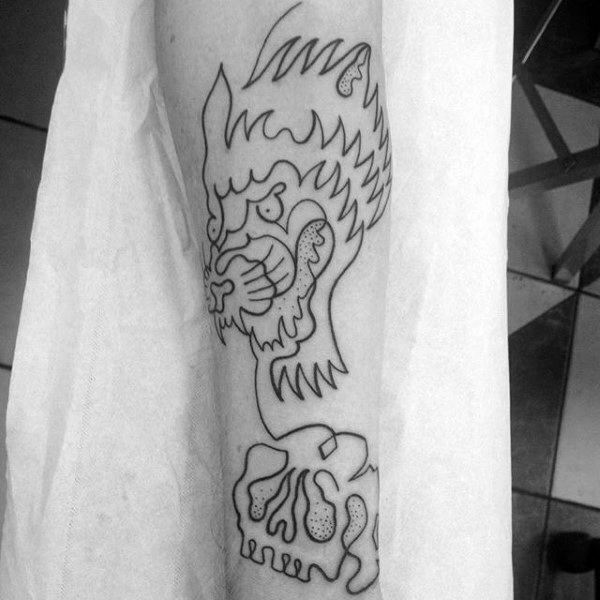 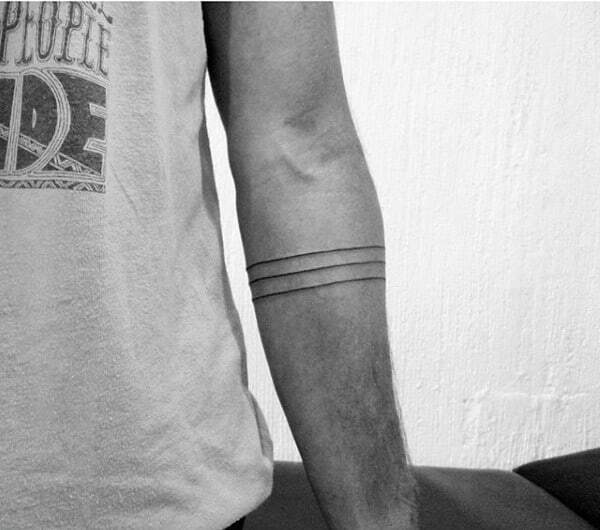 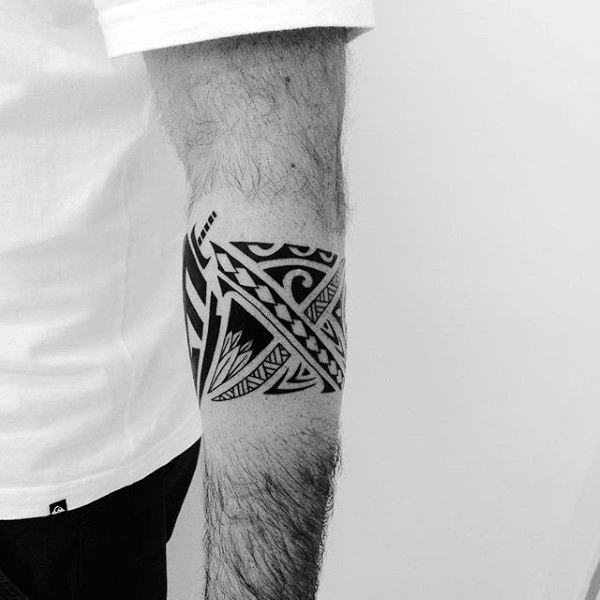 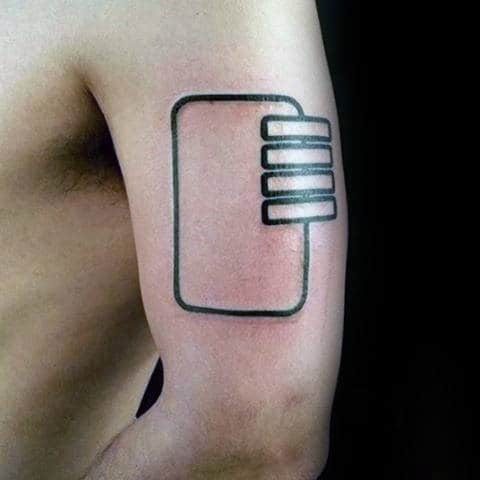 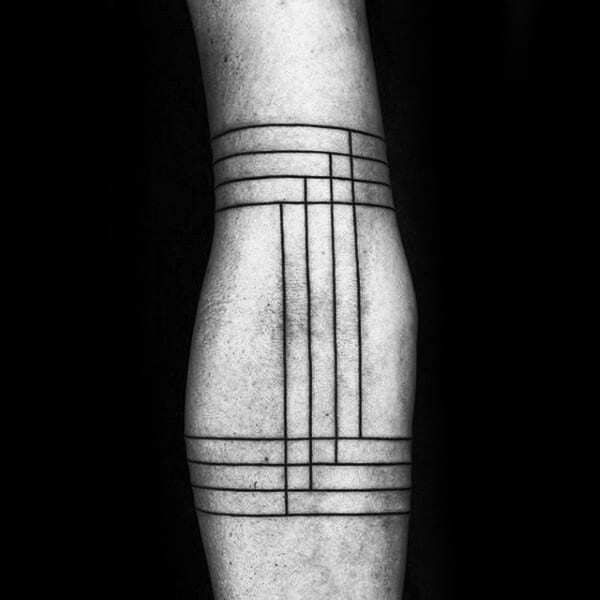 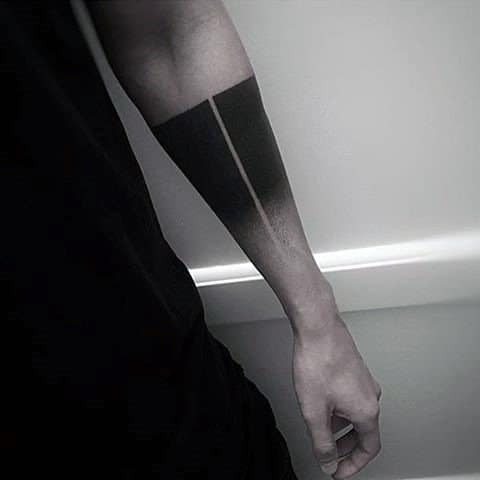 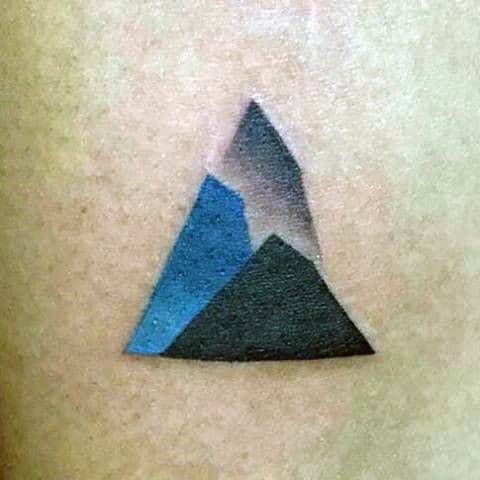 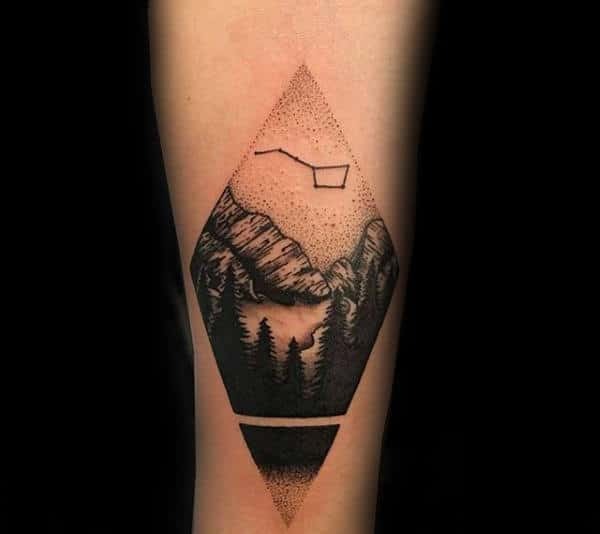 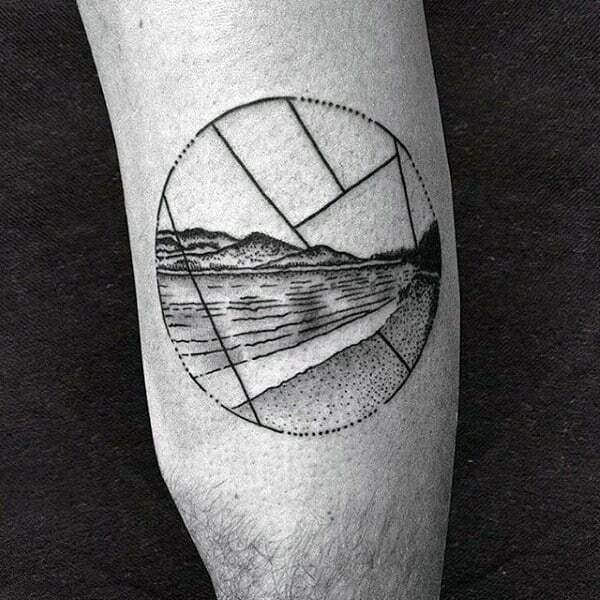 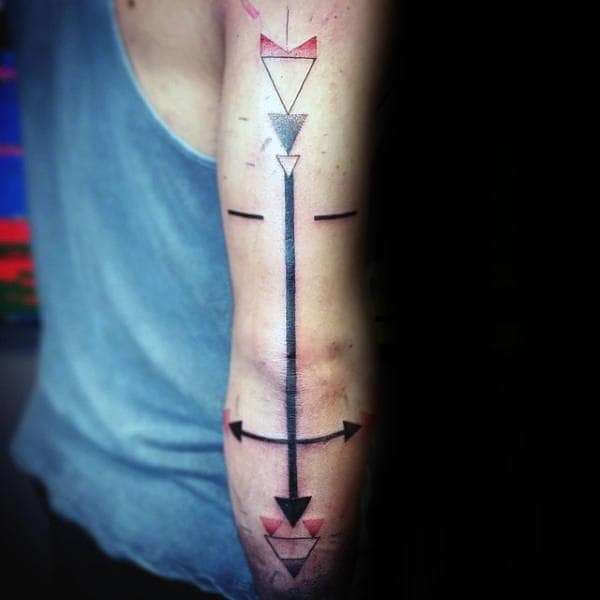 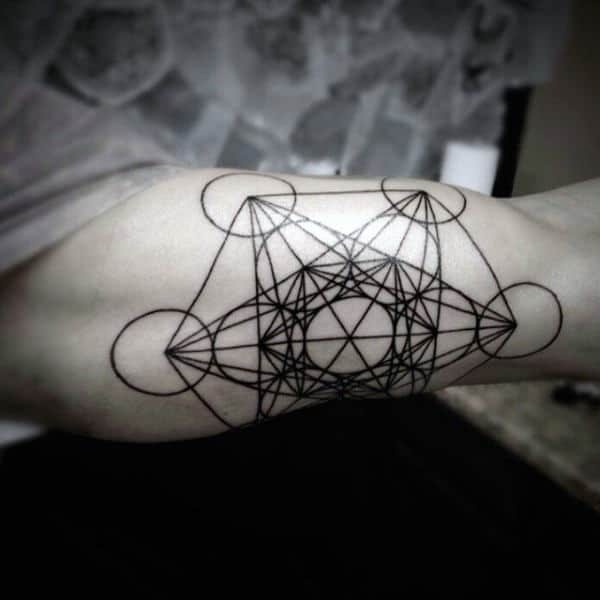 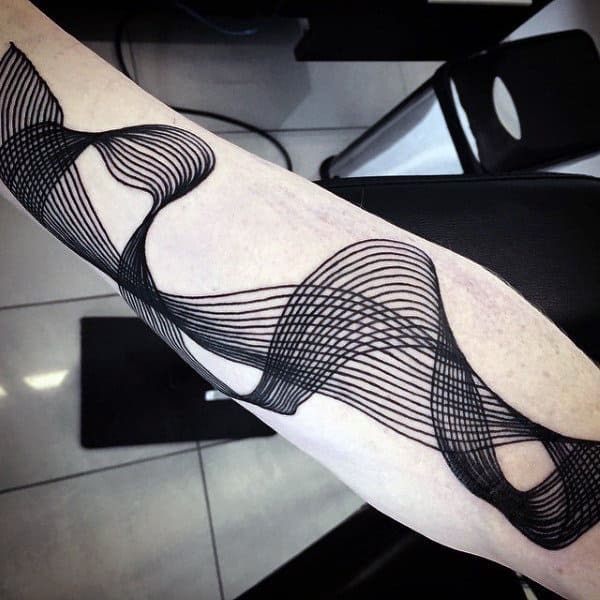 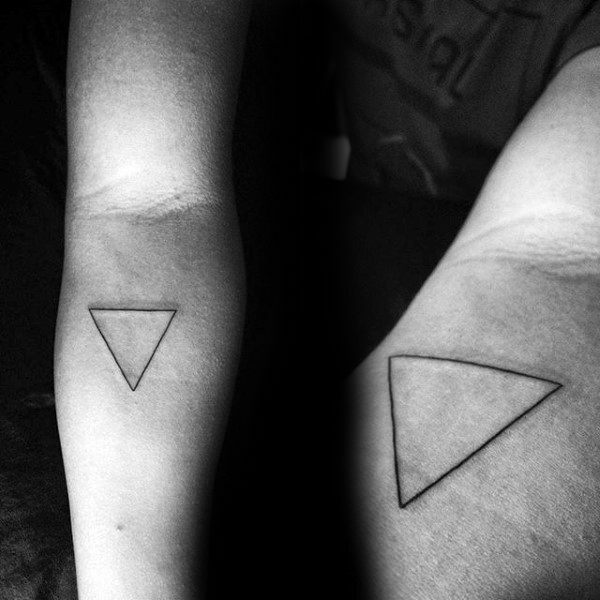 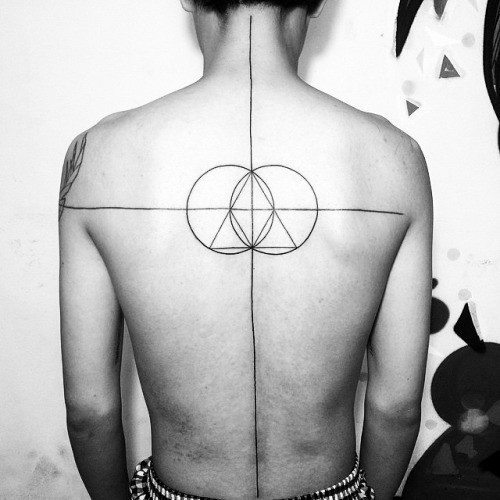 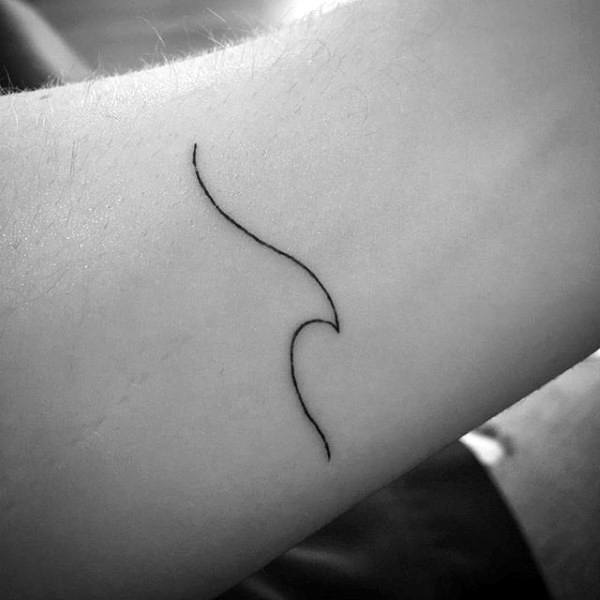 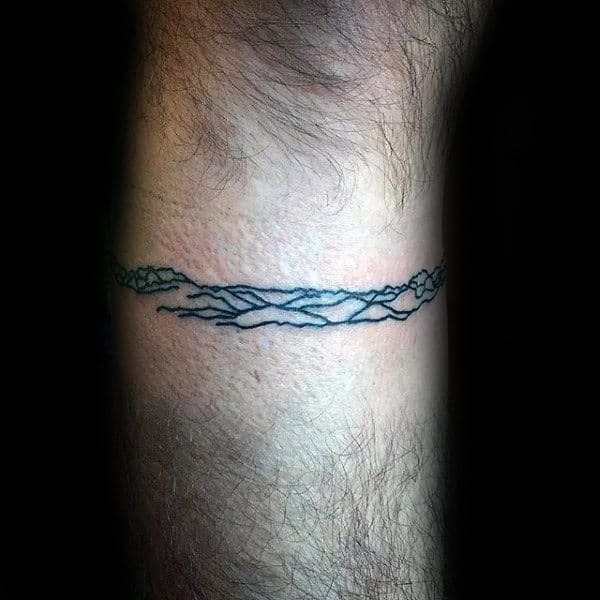 The avant-garde movement of minimalism has finally breached the boundaries of tattoos! 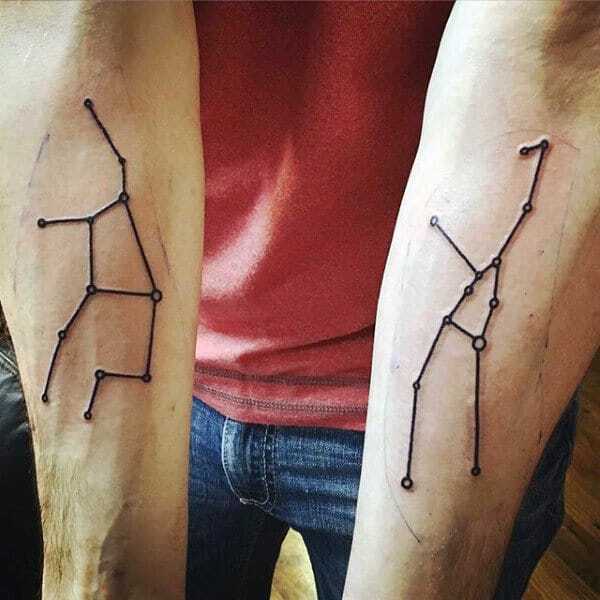 These conservative designs are perfect for beginners to make their first foray into body art; plus, they are excellent additions to any previously existing arrangement. 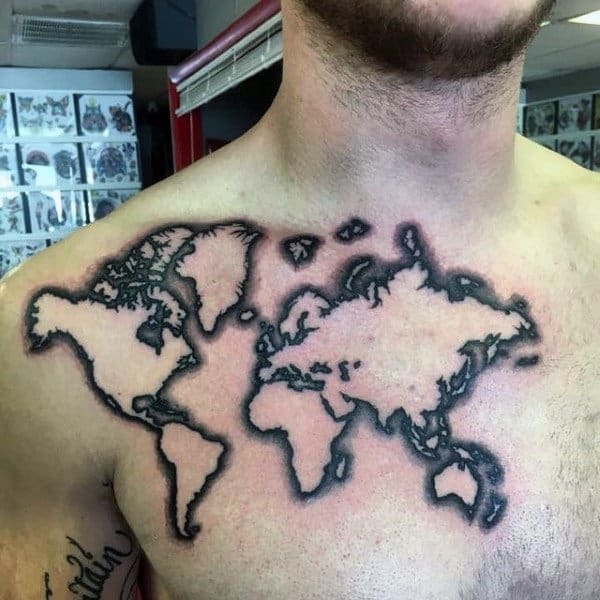 In 2016, less is certainly more. 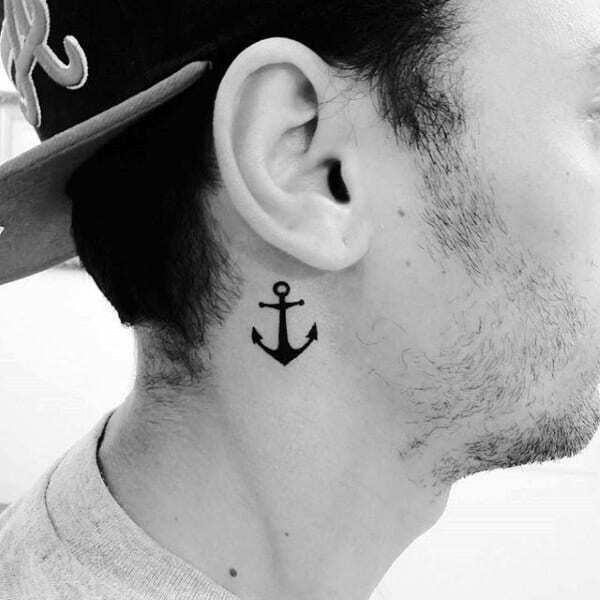 A lot of stylish gents are eschewing gigantic assemblies in favor of several smaller pieces. 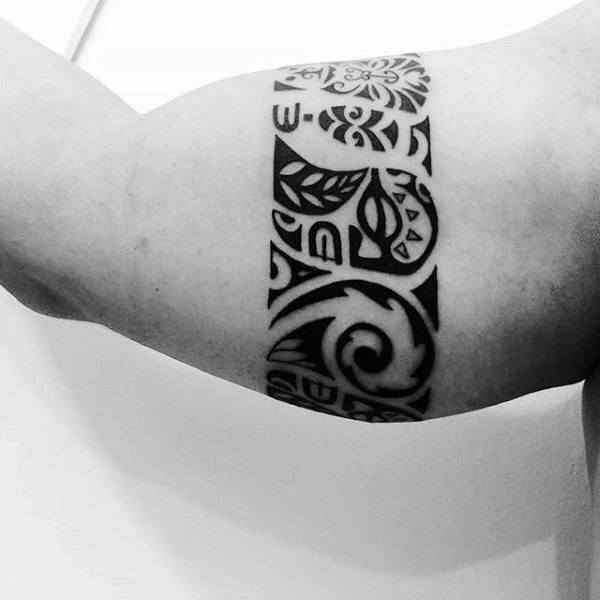 These savvy presentations are uncannily masterful, and they are pragmatically modest as well. 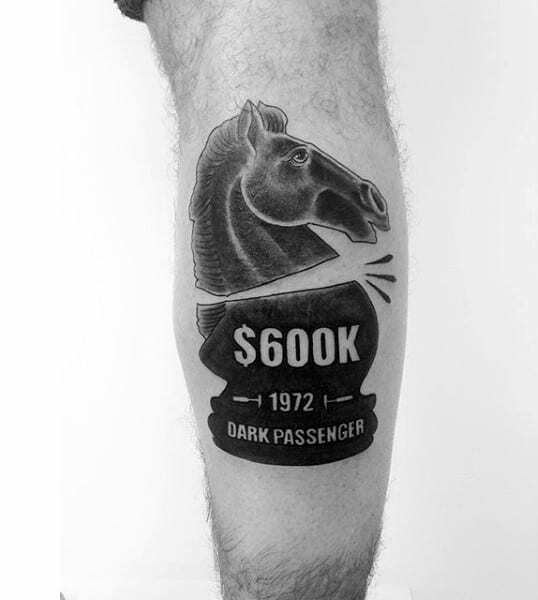 These smooth little beauties are sometimes procured with a single black line that artfully traces a desired emblem. 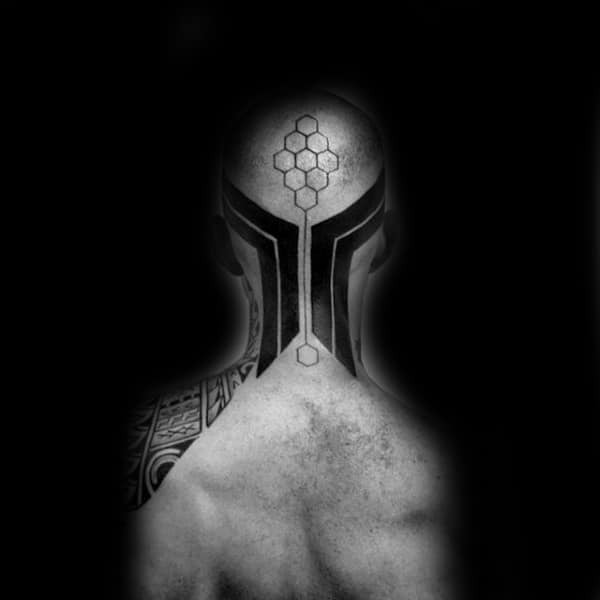 The potential is limitless in this domain, particularly when it comes time to fervently flash unrivaled brio. 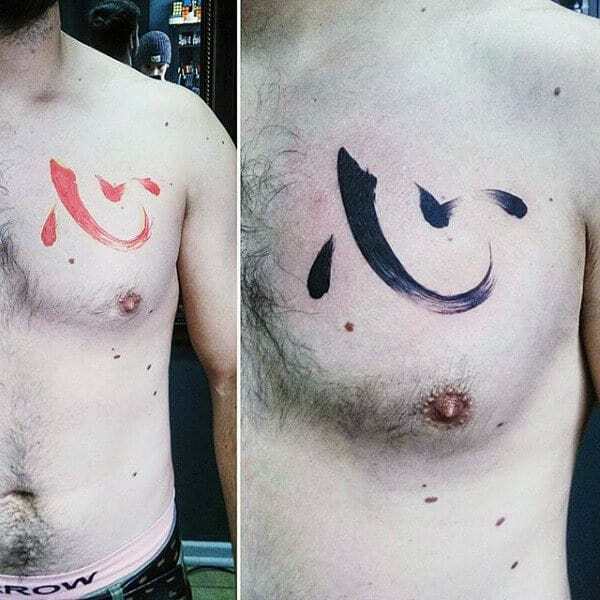 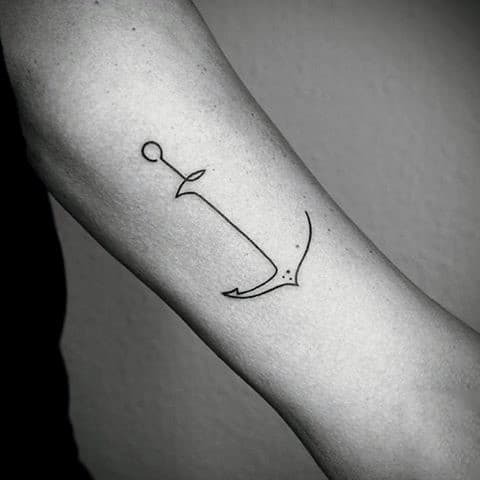 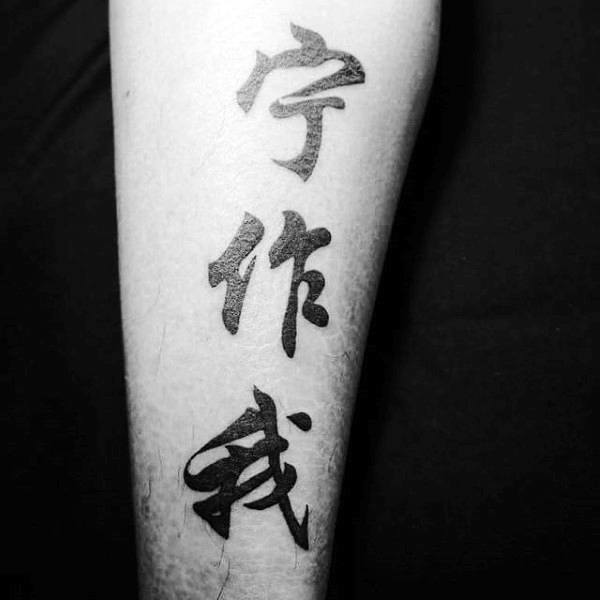 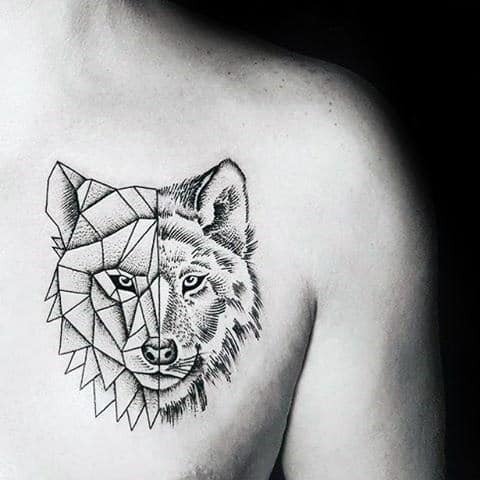 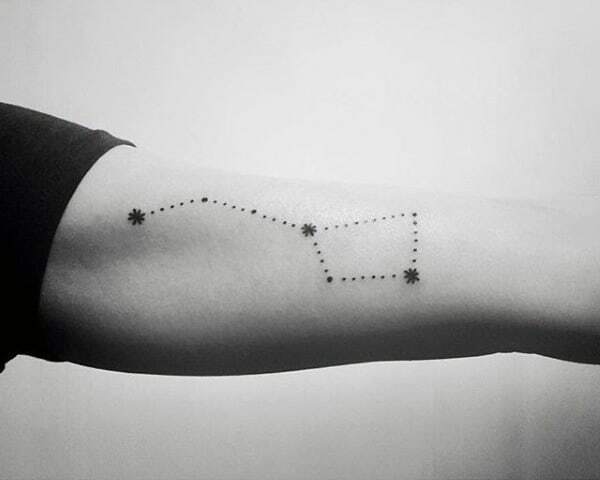 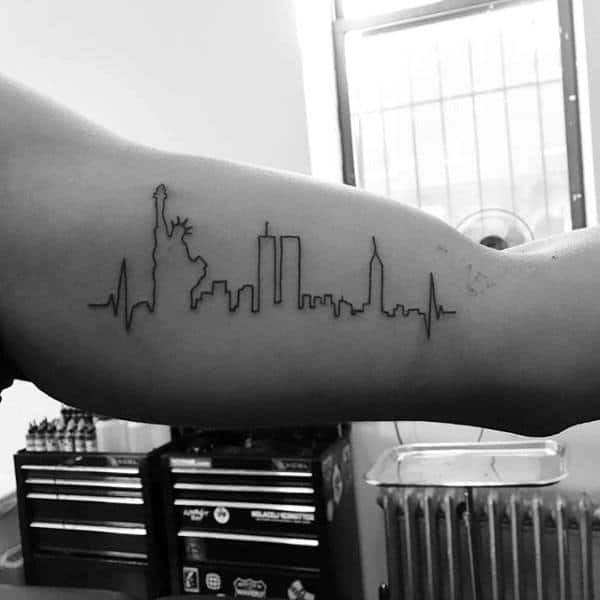 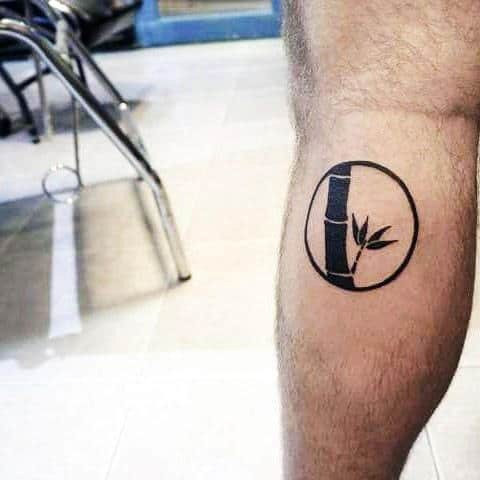 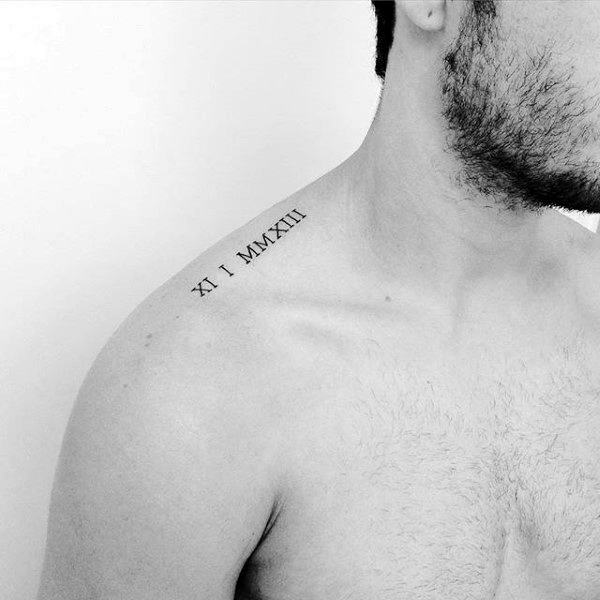 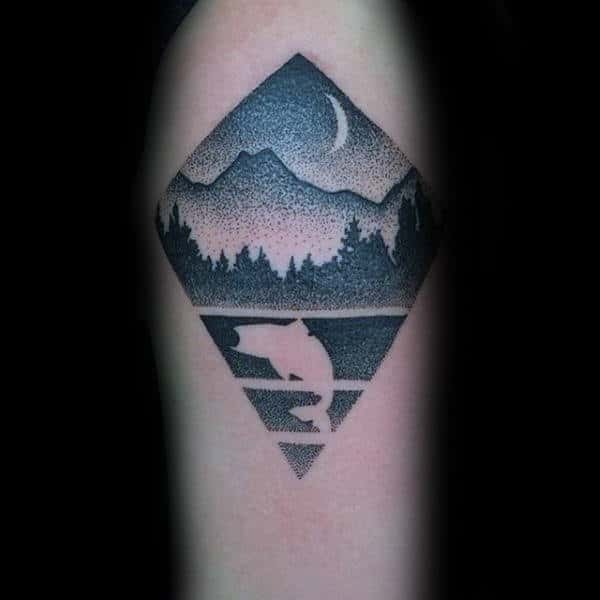 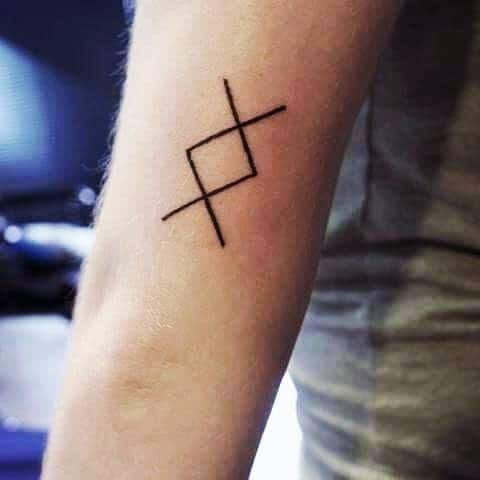 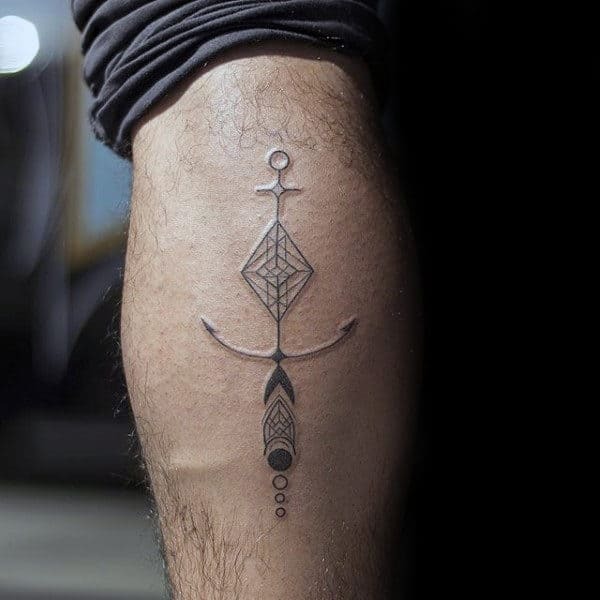 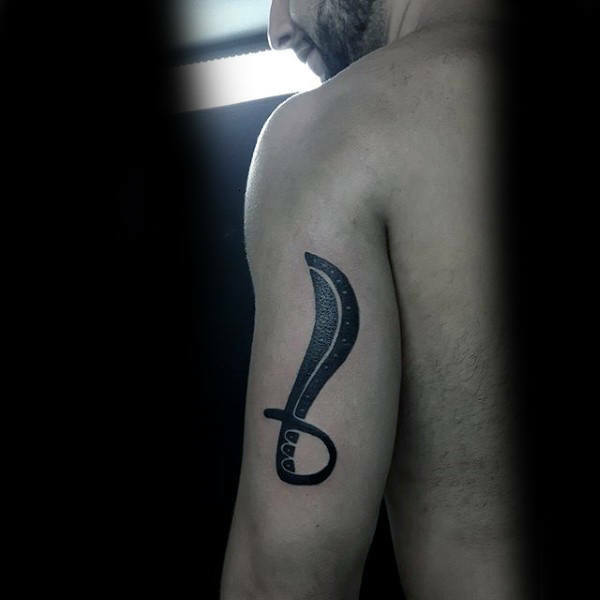 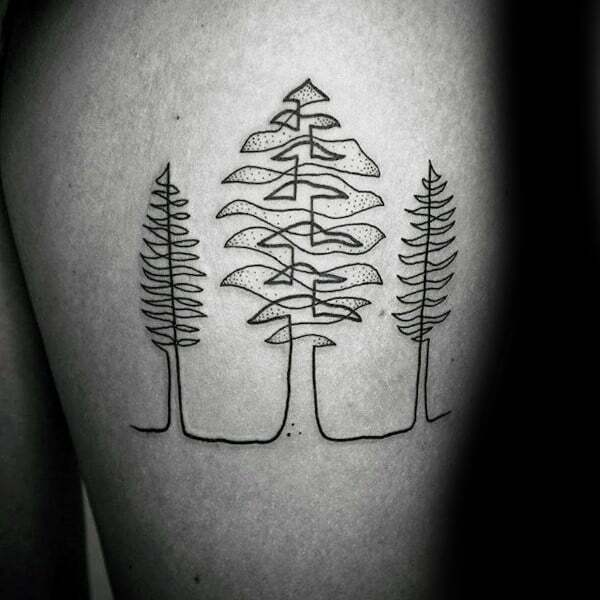 At first glance, minimalist tattoos are almost unnoticeable, but this only cements their auspiciousness and ardor. 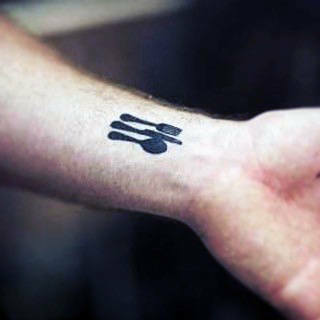 When they finally pop out, they are greeted with zealous impressiveness. 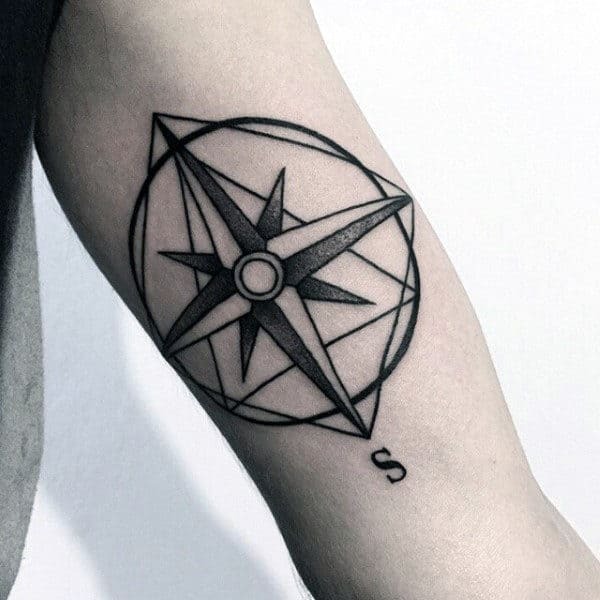 The sly gusto is seemingly effortless, yet it simultaneously flaunts ample foresight. 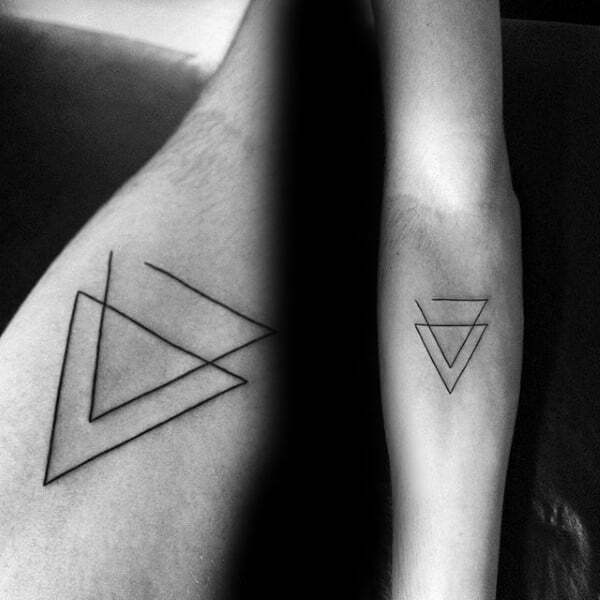 To maximize your minimalist tattoo, just adhere to this one rule: There are no rules beyond conciseness! 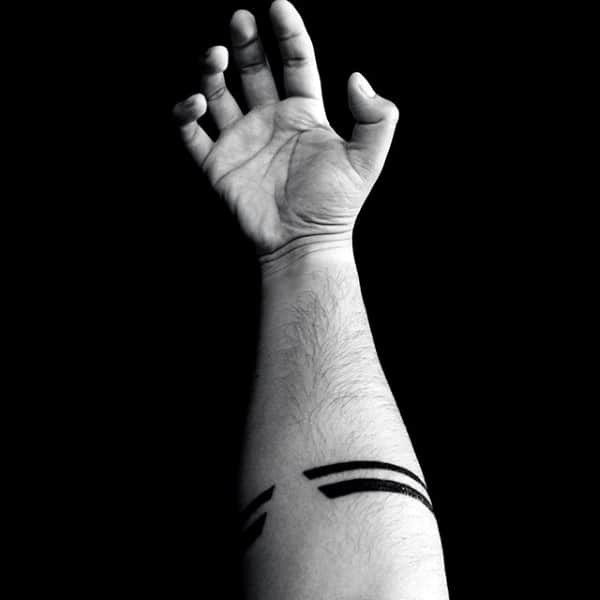 For further motivation, just take a trip through this exhilarating online index.